While speaking to Agence France-Presse (AFP), Lai Mohammed has dismissed claims that the leader of the Indigenous People of Biafra (IPOB), Nnamdi Kanu, is in government custody. According to the minister he suspects Kanu is hiding from prosecution. The separatist leader has not been seen in public for over a week after the military allegedly invaded his father’s home in Umauahia, Abia state capital. 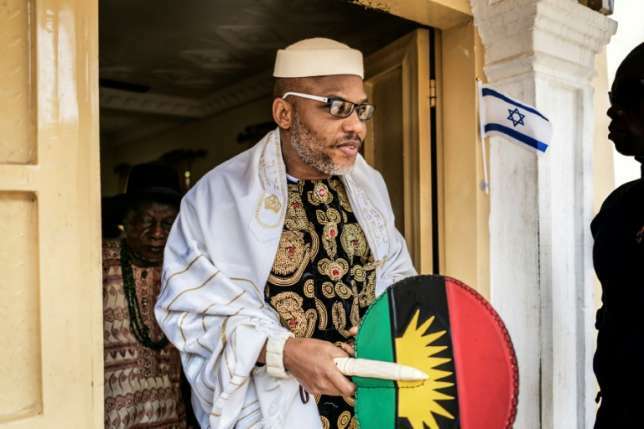 His supporters claim that he has been abducted by the government just as his pro-Biafra group was branded a terrorist organisation by the government.